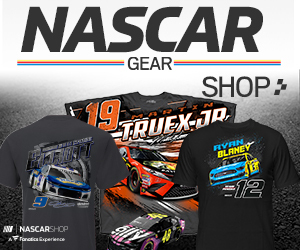 Martin Truex Jr.’s win at Kentucky Speedway last weekend gives Toyota a four-race winning streak leading into this week’s Monster Energy NASCAR Cup Series venue, New Hampshire Motor Speedway, where the make swept both 2017 races. Truex, who won the ESPY Award Wednesday night for Best Driver, won the Loudon, New Hampshire, race last fall during his championship playoff push in the No. 78 Furniture Row Racing Toyota. And Joe Gibbs Racing driver Denny Hamlin is the defending winner of Sunday’s Foxwoods Casino 301 (2 p.m. 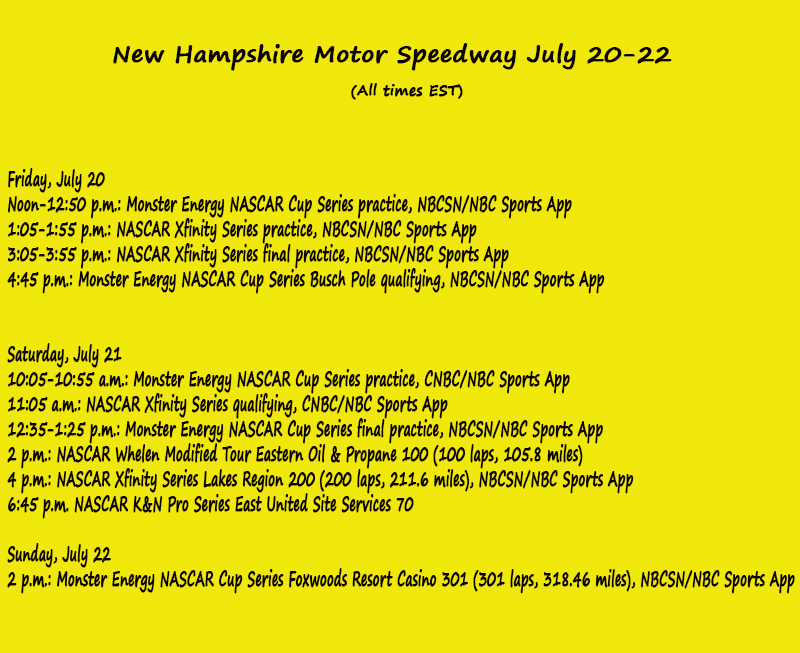 ET, NBCSN, PRN and SiriusXM NASCAR Radio). Toyota drivers have won six of the last seven races during NASCAR’s daunting summer stretch and that includes victories on intermediate tracks, a superspeedway and a road course. Between four-time race winner Truex, championship leader Kyle Busch (five wins) and Busch’s Joe Gibbs Racing teammate Erik Jones – the Monster Enery Series’ newest first-time winner (at Daytona) – the manufacturer has 10 wins through the opening 19 races of the season. At New Hampshire, Toyota has won five of the last six Monster Energy Series races. The other manufacturers are keeping Toyota honest, however. Ford drivers Kevin Harvick (five wins), Clint Bowyer (two wins) and Joey Logano (one win) join Busch and Truex atop the championship standings. Kyle Larson – who has a season-high four runner-up finishes – leads the way for Chevrolet, which is looking for its first win since Austin Dillon’s thrilling last lap victory in the season-opening Daytona 500. Larson, currently 10th in the playoff standings, was runner-up to both Hamlin and Truex last year at New Hampshire. The Xfinity Series championship could not be any closer with eight races remaining before the Playoffs. Veteran Elliott Sadler and second-year series competitor Daniel Hemric are tied atop the standings entering Saturday’s Lakes Region 200 (4 p.m. ET, NBCSN, PRN and SiriusXM NASCAR Radio) – a race neither driver has won before. Sadler has led the standings for the vast majority of the season. He started off with an amazing streak of 12 top-10 finishes in the JR Motorsports’ No. 1 OneMain Financial Chevrolet but has had tough luck as of lately. He’s had only two top 10s in the last five races. Simultaneously, Hemric’s Richard Childress Racing’s No. 21 High Point Casino Chevrolet has benefitted from a summer surge. He’s on a streak of eight straight top-10 finishes and has seven top-three finishes on the season. He was runner-up last week at Kentucky. Sadler has five top-10 finishes in 14 New Hampshire starts, including the last two races there. He’s led only six laps in the last nine races, however. His best career finish at the tough miler is fourth, coming in 2005. Hemric has only one previous start at the track, starting fifth and finishing 12th there last year. What to Watch For: Denny Hamlin, Jimmie Johnson, Kyle Busch, Kurt Busch, Matt Kenseth and Ryan Newman all have three wins at New Hampshire – most in the field. … Defending race winner Hamlin boasts the top driver rating (103.6). … Kyle Busch tops the track’s Loop Data Statistics in two categories – Laps Led (974) and Fastest Laps Run (498). 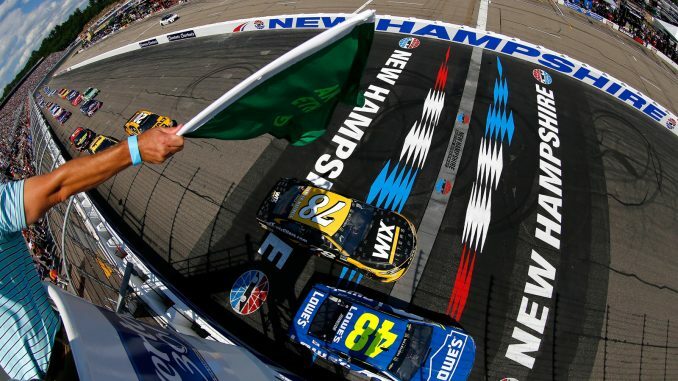 … Chevrolet is the winningest manufacturer at New Hampshire with 19 wins. … Joe Gibbs Racing is the winningest team with 12 victories. … Kurt Busch’s 2003 win marks the deepest a winner has come from the starting grid – he started the race 32nd. …The winningest starting positions are 6-10th – 26 percent of the race winners have started there. And 20 percent of the time the race winner has started 11th-15th – unusual success for qualifying farther back on the grid. … Newman, Clint Bowyer and Joey Logano all scored their first ever Cup wins at New Hampshire. … Matt Kenseth leads all active drivers with 12 top-5 finishes. …. Kyle Larson leads the series with four runner-up finishes in 2018. Last year he was runner-up in both New Hampshire races. What to Watch For: Elliott Sadler and Daniel Hemric are tied atop the championship standings. Hemric has eight consecutive top-10 finishes while Sadler has only two in the last five races. … Christopher Bell scored his second win of the season at Kentucky and the 12 playoff points he’s accumulated are most in the series. He would be the No. 1 seed if the postseason began this week. … Bell leads Daytona winner Tyler Reddick by 50 points in the Sunoco Rookie of the Year competition. … New Englander Ryan Preece will make his fifth start for Joe Gibbs Racing this weekend. He won at Bristol Motor Speedway in April. He was runner-up to JGR’s Kyle Busch in this race last year … Joe Gibbs Racing has an amazing track record at New Hampshire Motor Speedway, winning eight of the last 10 Xfinity races. … Camping World Truck Series championship leader Johnny Sauter will drive the No. 23 Chevrolet for GMS Racing this week. He finished 16th in the truck series race at Eldora Speedway on Wednesday night …Ty Dillon and Brad Keselowski are the only two Monster Energy Series drivers entered this weekend. Keselowski has two Xfinity wins at New Hampshire.